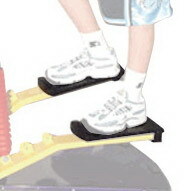 This stepper, like all Cardio Kids products, is built tough for heavy usage. Designed with an almost infinite adjustability for tension and speed control - the shock can be mounted in any of three positions depending on the average weight of your clientele. These are marked E for elementary age M for middle school age and YA for young adults. Not recommended for beginners. Call 1-800-875-9145 to speak with one of our fitness advisors with any questions you may have. Go to FitnessZone.com to order your KidsFit Cardio Kids 670 Stepper Elem. With the problem of childhood obesity looming, finding ways to increase our children’s physical activity levels is becoming increasingly important. Even so, lowering our children’s body fat percentages is just one small aspect of the bigger picture. Along with the multitude of health benefits, there are also many inadvertent advantages exercise and physical activity has on learning in the classroom. In a study done by Georgia Health Sciences University, researchers had 11 to 17 year olds who were overweight commit to 20 to 40 minutes of vigorous play everyday such as jump rope, running games, and hula hooping. The activity was done every day after school for three months and the results of their fMRI scans at the end of the test period showed an enhancement in brain activity. The prefrontal cortex increased in activity while an area just behind it showed less activity, which is common for those who are rapidly developing cognitive shills. All of the students showed remarkable improvements in their math skills but the students that exercised the most also showed an impressive 3.8-point increase on standard I.Q. tests. However, improving test scores is not the only positive effect physical activity has on learning in the classroom. Recently a teacher in Canada decided to test what effect exercise had on her students and found some amazing results. The teacher added two weekly bouts of exercise that were 20 minutes each and conducted them while still teaching her regular subjects like language arts and mathematics. At the end of the four-week trial, the teacher found that every single student went up a full letter grade in reading and math; some of her kids even went from F’s in vocabulary to A’s. This was similar to the findings of the study done by Georgia Health Sciences University. This four-week test on the effects of physical activity on learning not only found an increase in test scores, but also found that the kids had an improved ability to concentrate and could work for longer periods of time without interruption. Additional benefits included significantly improved student attendance, and an impressive 67% drop in disciplinary problems. How do we make physical activity more prominent in our schools and reap the rewards? Clearly, physical activity can have a positive effect on learning and behavior in the classroom. Unfortunately school systems are big, inefficient, and resistant to change, so the likelihood of any school adopting this teaching style on its own is very unlikely no matter how good it is for our kids, the school’s discipline issues, and/or test scores. What we have to do, as a community, is request that these changes be undertaken in our schools – for our children’s educational benefit and for their health. Even if you don’t have kids, the social benefit of improving kid’s attendance and discipline would be evident with a reduction in teen crime and also a smarter more capable future workforce. As an additional benefit, introducing youth to physical activity increases their chances of continuing to work out later in life, which in turn lowers their chances for preventable health issues like diabetes, and heart disease…which in turn lowers everyone’s healthcare costs. Implementing exercise in the classroom is a win, win, win…win situation. Do everything you can to motivate other people to get onboard, and go to the school district and insist upon implementing these strategies in the classroom. In the meantime, take some responsibility for your own children by encouraging them to get up and move and to exercise with them. Go play with your kids; run with them, jump rope with them, hop, bounce, and wrestle with them. Just get moving and stay moving, and encourage other parents to do the same. 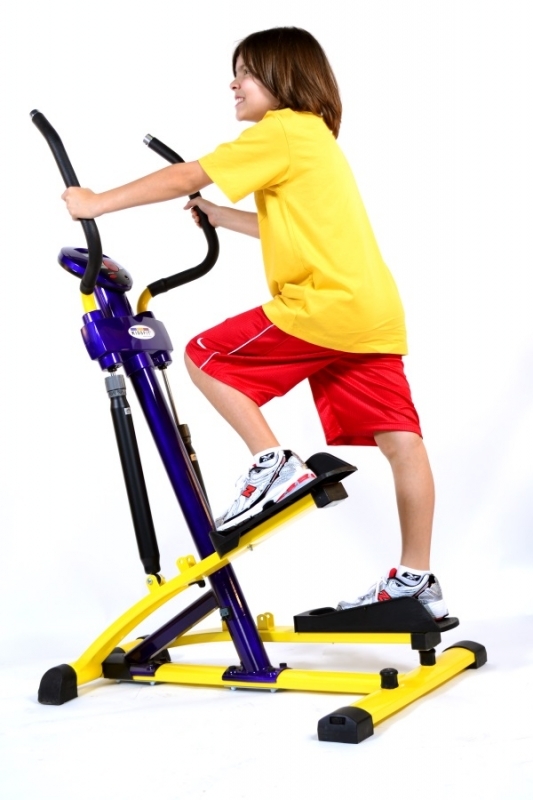 Order your Kids Fit Cardio Kids 670 Stepper Elem from FitnessZone.com today!